Who doesn’t love lobster anything? 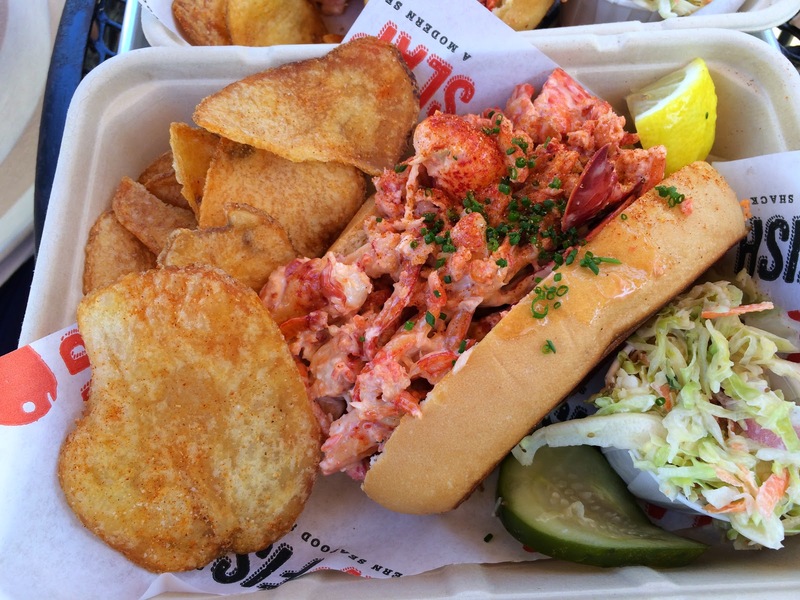 Slapfish serves up lobster rolls and other seafood themed eats just steps away from the beach in the heart of Laguna Beach. The original location is in Huntington Beach, which, for people like LoMa-Linda and BigHead Talks-A-Lot, would be like hiking it to Mongolia on a camel. Since moving to OC, the driveable radius for these guys has like shrunk to 5-10 miles. 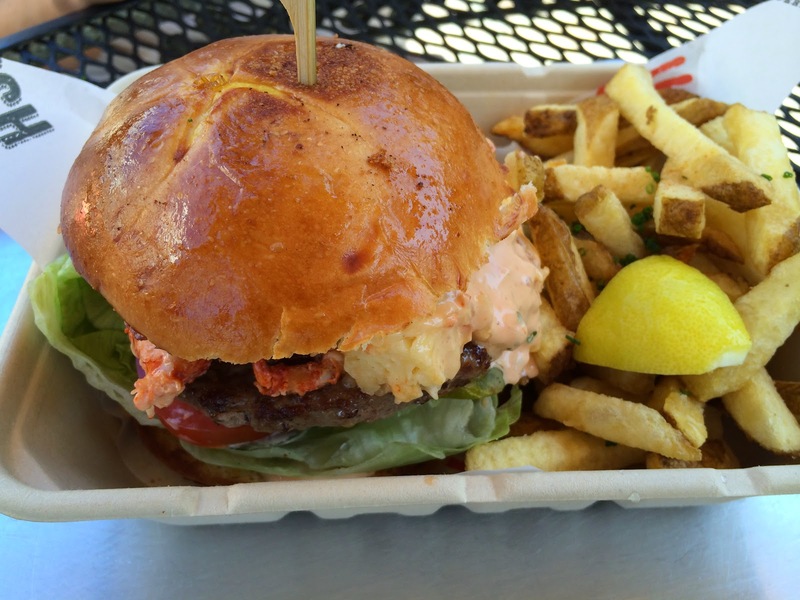 Laguna Beach is actually outside of their limits, but the temptation of lobster outweighed the inconvenient drive. No surprises here. 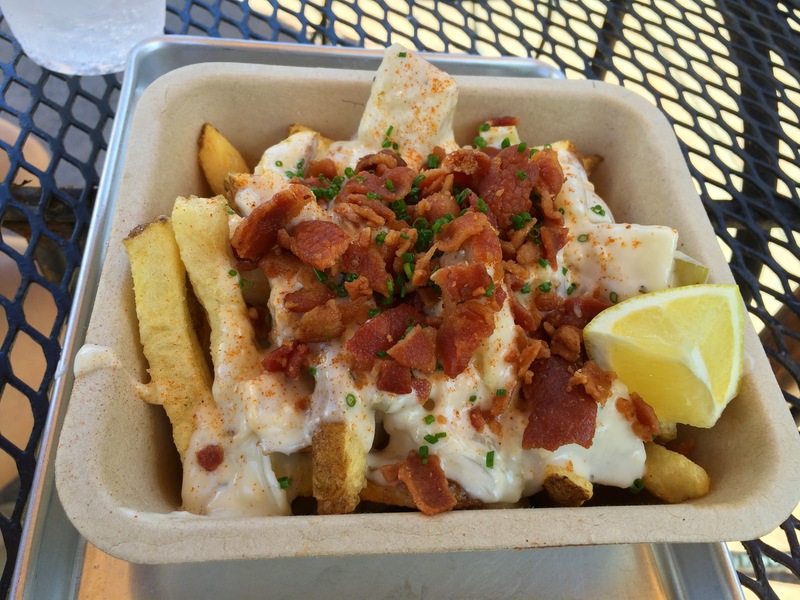 It’s fries with chowder and bacon. I think they need to work on their fries, which were a little lackluster, the same way In ‘N Out fries leave me wanting more. So much potential! Alas, their “100% real lobster meat” was 100% crappy legs and claws. If you’ve ever broken down a lobster, you’d know how difficult it is to extract any meat from those 8 scrawny legs. In the end, that meat is not worth your time and effort. At Slapfish, it’s very much worth their time and effort to charge you almost $20 for meat that would normally get tossed in the garbage bin. I’ll give it up to them for keeping the dressing pretty light and not dousing the whole thing in mayo. The roll was soft and buttered to a crisp. It was my favorite part. I really wanted to know where I could get some for myself. I tried making lobster rolls once, but the hot dog buns really killed any potential my 100% tail meat lobster roll was going to have. The side slaw was quit enjoyable and brought a little bit of crunch and some nice acid to the plate. Those chips coulda been crispier. Surprisingly this was quite the standout dish. You’d think it would be too much, too over-the-top, but it delivered quite a lot of flavor without being too complicated or confused. And again, the bun was awesome. Who bakes the buns here?! If I were in the area, I would stop by for a casual lunch since their menu offers so much more than just lobster rolls. There are fish tacos, grilled cheese, fish n chips, sandwiches, etc. It’s definitely a good addition to the Laguna Beach scene. However, it’s just a bit too far for my liking. I think LoMa-Linda and BigHead Talks-A-Lot were pleased but felt similarly about the unimpressive lobster roll. Pingback: New England Lobster Market & Eatery – Overworked. Underfed.